The holidays are right around the corner and for many, the holidays mean bringing back family traditions and recipes that have been passed down from generation to generation. Today we are sharing with you one of our favorite recipes that you can make right in your very own backyard. The possibilities are endless when it comes to the great outdoors. Every season brings a new flavor and in turn, new recipes. This time of year one of the best dishes to enjoy over a warm fire is Acorn Ashcakes. 1. 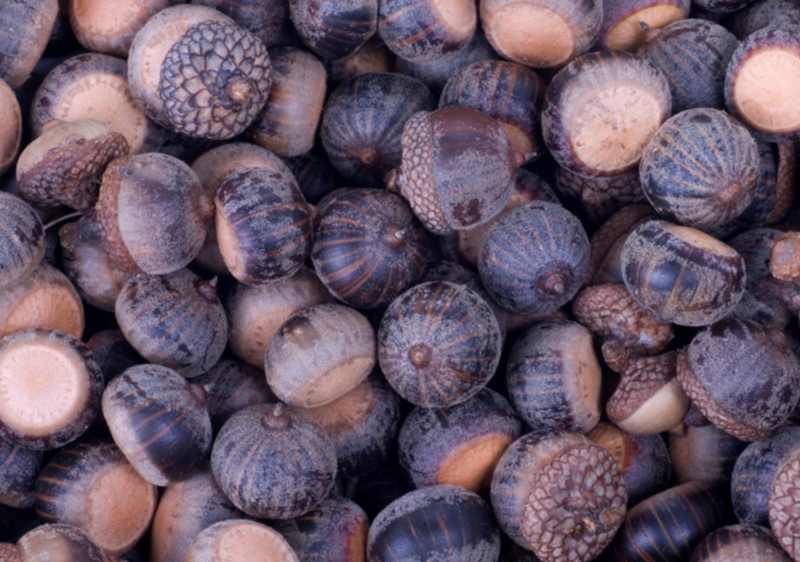 Leach acorns in order to rid them of their tannins. Tannins are defined as a yellowish or brownish bitter-tasting organic substance presented in some galls, barks, and other plant tissues. 3. Crush sundried acorns into a flour and add water to create your batter. Your batter should be thick. Try starting with minimal water and test out the consistancy. Add more water as needed. 4. [Optional] Try incorporating some seasonal berries, pine nuts and walnuts into your batter. This can be a great way to incorporate some more of nature's seasonal beauties. 5. Turn batter into small patties. Start by rolling the batter into golf ball sized balls. Then press/pat each ball between your palms creating the shape of a patty. 6. Rest your patties on the ashes by the fire. Keep in mind that your fire will need to burn down to the thick layer of coals. Once you've done this, make sure to place the patties on the white ashes. If your ashes are grey they are not hot enough. 7. Once cooked, brush the ash off and enjoy! Will you be starting a this Mountain Scout Survival School inspired outdoor family tradition this year? Try it out! Make sure to snap some photos of the process and use the hashtag #mountainscoutsurvivalschool so we can see your version of this Mountain Scout favorite!